4 1/2" x 8 7/8"
8 7/8" x 8 7/8"
Square footage by shape, small rectangle 32.5%, square 30%, large rectangle 37.5%. 13-4 1/2" x 8 7/8", 6-8 7/8" x 8 7/8", 5-8 7/8" x 13 7/8" per layer, 11 sq. ft. per layer. Available only as 3 piece collection. 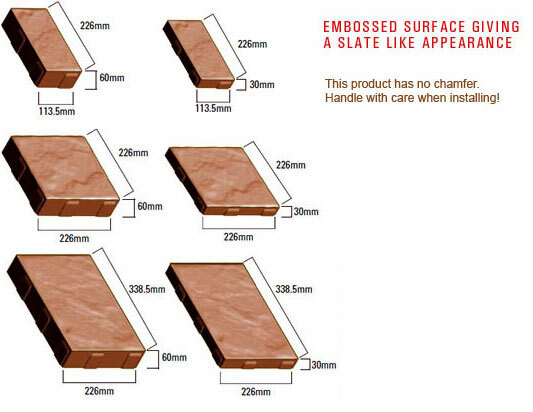 30mm thickness for overlays of existing pedestrian hard surfaces only.